Helping people facing inequality, homelessness and coping on a low income. Exeter Community Initiatives helps people facing poverty, inequality and homelessness to get their lives back on track. We do this by involving them in community projects to improve their mental, emotional and physical wellbeing, increase their sense of belonging and provide skills to help them succeed in life. Housing and mentoring – We work with St Petrock’s and other charities to respond to prevent homelessness. Our Transitions project helps people tackle problems which may result in them losing their tenancies and becoming homeless. We train volunteer mentors and match them with clients to offer support with budgeting, running a home and finding work. Families – We support vulnerable families through Devon Family Resource. This is a bespoke service that works on a one-to-one-basis with families facing multiple challenges in their lives. Urban Skills – We help people develop life skills to improve their life chances. Our Fore Street shop Jelly , selling pre-loved children’s items offers volunteers training in retail skills and the Bike Bank , an award-winning environmental project, provides a sheltered workshop repairing unwanted bikes while offering training in repair skills. 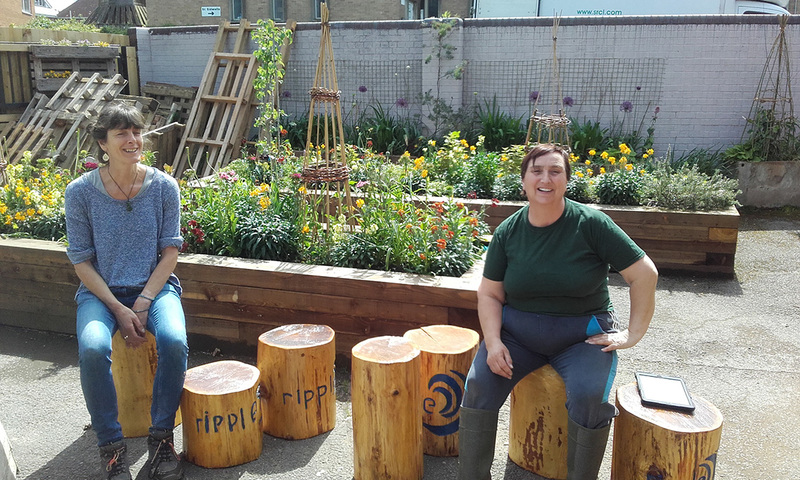 People & Communities – We get involved in social action work with Ripple Effect . This is to enable people facing disadvantages to develop personal skills while helping others in their community. Exeter Community Initiatives is a registered charity and company limited by guarantee. The CO2 generated by hosting this website is offset by Illicit Production Ltd.